Dong Dong Qiang!! Dong Dolong Dong Qiang! Hearing this rhythm from afar, and you'll know Chinese New Year is just around the corner!! 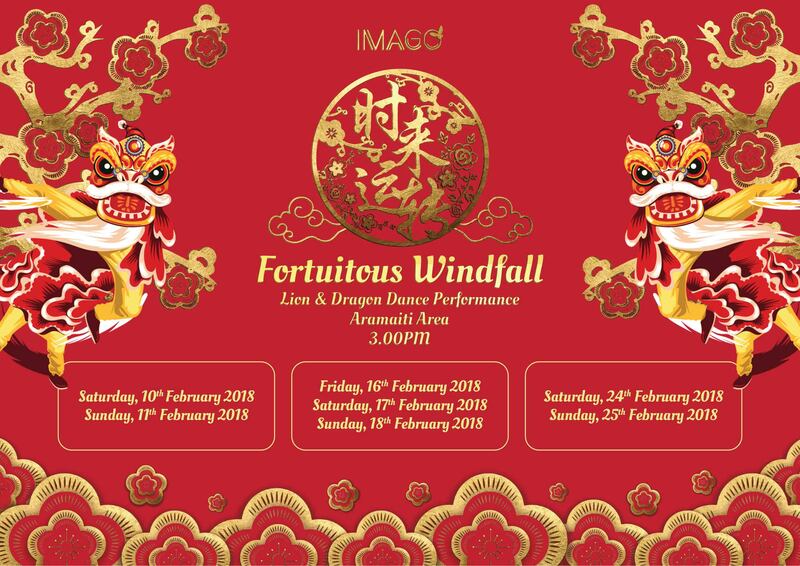 Feast your eyes on the mighty traditional lion dance during the weekends throughout the Chinese New Year month in Imago Shopping Mall! Come join us and be showered with all the good fortunes. May you be blessed abundantly in the coming year!